Access to health care varies across countries, groups and individuals; and is largely influenced by social and economic conditions as well as the health policies in place. 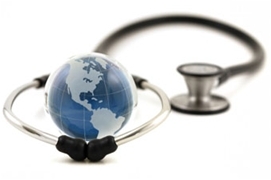 In some countries and jurisdictions, health care planning is distributed among market participants, whereas in others it is more centrally planned among governments or other coordinating bodies. In all cases, according to the World Health Organization (WHO) a well-functioning health care system requires a robust financing mechanism; a well-trained and adequately-paid workforce; reliable information on which to base decisions and policies; and well maintained facilities and logistics to deliver quality medicines and technologies. Forming an important part of a country's economy healthcare can be broken down into various industry sectors that are dedicated to providing healthcare services and products. At marcus evans we are trying to cover most of these in our dedicated healthcare summits ranging from National Healthcare to Long-Term Care Summits. Governments and insurers will try to control the seemingly inexorable rise in healthcare spending, in many cases while pushing through far-reaching reforms. The global healthcare sector has seen two big, contrasting trends over the past few years: on one hand global healthcare spending continues to rise, with developing markets starting to narrow the gap with developed markets; on the other, and at the same time the squeeze on costs has become more intense, with the pharmaceutical sector often bearing the brunt of the cuts. This year will see more of the same, apart from one important factor: 2014 is the year when the US will implement its landmark healthcare reforms, resulting in major changes in the one market that still dominates the sector. If you are interested in taking part in forefront industry discussions at one of the marcus evans Summits simply send us an email - prteam@marcusevans.com.